The Pacific state of Samoa is considering a controversial plan to address its stray dog problem by exporting canned dog meat. Errant and ownerless dogs are rife across the island nation, and the parliament’s recent debate on a “Canine Control Bill” prompted various proposals to address the problem, including stray dog racing. The Commonwealth country of about 200,000 people reportedly has more stray dogs than tourists, and there are frequent reports of attacks on humans. The country’s associate minister, Tole’afoa Apulu Fa’afisi, proposed in parliament the idea of exporting stray dog meat to Asia and received strong support from fellow MPs. The proposal won the backing of the finance minister, Faumuina Tiatia Liuga, who said “there is no difference between the meat of a pig and that of a dog. When it gets cold in Asia, the moment you eat dog meat, you feel warm afterwards,” he said. The opposition has rejected the plan for dog meat, saying the stray dogs should be put down. But the police minister, Sala Fata Pinati, said it would be “inhumane” to start shooting at stray dogs without obtaining a court order. “We don’t just walk to the market where there are a lot of stray dogs and start using a gun to shoot them,” he said. 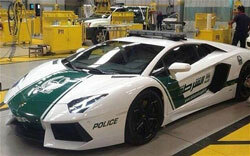 Dubai has unveiled a Lamborghini as the latest addition to its fleet of police cars. The Lamborghini Aventador, in local police colors, was shown off in the Dubai Mall, the city’s most upmarket shopping plaza. A picture was shown off on the service’s Twitter feed, with the caption: “Latest Dubai Police patrols, now at your service.” It was widely re-tweeted with the hashtag “#onlyinDubai”. Local media suggested the $550,000 car, which has a V12 engine, a maximum speed of 217mph and accelerates from 0-60mph in 2.9 seconds, would be more used as a marketing device than as a standard patrol car. The city’s police chief, Dhahi Khalfan Tamim, is one of the more public relations-aware officials of the region, and is closely tied to the ruling family, with its vision for the city as an international playground for the wealthy. However, the car is being shown off at the same time as the police are in the middle of a campaign to curb the wilder excesses of the city’s largely young, male, drivers, who frequently use the United Arab Emirates desert motorways as a racetrack. Extra fines and even threats of imprisonment for those caught speeding at more than 124mph, who make up 15% of the total, have recently been unveiled. Standard fines for speeding work out at no more than $150-$230. The police have already begun using a new Chevrolet Camaro SS (top speed: 157mph, 0-60mph: 4.3 seconds) as their first weapon in the campaign against excessive speeders. Saudis take part in the traditional Arda dance or War dance during the Janadriyah Festival of Heritage and Culture in the Saudi capital Riyadh. Delegates from the UAE (United Arab Emirates) were in attendance at the Jenadrivah Heritage & Culture Festival in Riyadh, the Saudi capital, when religious police officers stormed the stand and evicted the men because “they are too handsome,” according to the Arabic language newspaper, Elaph. “A festival official said the three Emiratis were taken out on the grounds they are too handsome and that the Commission [for the Promotion of Virtue and Prevention of Vices] members feared female visitors could fall for them,” Elaph reported. Saudi Arabia is a deeply religious and strict Islamic society which forbids women from interacting with unrelated males. Following the incident, Elaph said the festival’s management took swift action to deport the trio back to Abu Dhabi, capital of the Emirates. The UAE released an official statement indicating that the religious police were anxious over the unexpected presence of an unnamed female artist in the pavilion. “Her visit to the UAE stand was a coincidence as it was not included in the program which we had already provided to the festival’s management,” Saeed Al Kaabi, head of the UAE delegation to the festival, said in a statement. b) Samoa reportedly has more stray dogs than tourists, and there are frequent reports of attacks on humans. Dog meat is eaten in countries including China, Vietnam and South Korea. 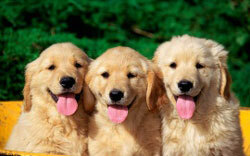 The U.S. and other Western countries consider the consumption of dog to be inappropriate and offensive. It is illegal to buy or sell dog meat in the U.S. Do you think the proposal to slaughter dogs and sell their meat to Asia is a good idea? Explain your answer. b) Do you think any police department in the U.S. could justify the purchase of a $550,000 police car? Explain your answer. b) Following the incident, newspaper Elaph reported that the festival’s management took swift action to deport the trio back to Abu Dhabi, capital of the Emirates. What is your initial reaction to this report? 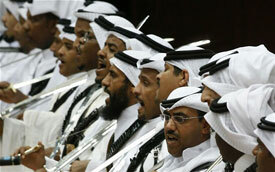 c) Saudi Arabia is governed by strict Sharia law (Islamic law), which allows for religious police. Some Muslims would like to implement Sharia law in the U.S. Do you think Sharia law would ever be implemented in the U.S.? Explain your answer. The most famous cultural event in Saudi Arabia is the Jenadriyah Heritage and Cultural Festival, organized each year by the National Guard. For two weeks a year, the festival gives over a million Saudis a glimpse into the past. First held in 1985, the festival highlights the Kingdom’s commitment to keeping the traditional culture and crafts of Saudi Arabia alive. Opening with a traditional camel race, the festival includes almost every aspect of Saudi culture. Artisans, such as potters, woodworkers and weavers, demonstrate their traditional crafts in small shops with typical palm-frond-roofed porches. Visitors can also stroll through the past in a heritage village, which resides permanently in Jenadriyah. In addition, folklore troupes perform the ardha and other national dances, while singers from around the Kingdom perform traditional songs and music. Unlike many religions, Islam includes a mandatory and highly specific legal and political plan for society called Sharia. The precepts of Sharia are derived from the commandments of the Quran and the Sunnah (the teachings and precedents of Muhammad). Together, the Quran and the Sunnah establish the dictates of Sharia, which is the blueprint for the good Islamic society. Because Sharia originates with the Quran and the Sunnah, it is not optional. Sharia is the legal code ordained by Allah [the god of Islam] for all mankind. To violate Sharia or not to accept its authority is to commit rebellion against Allah, which Allah’s faithful are required to combat.